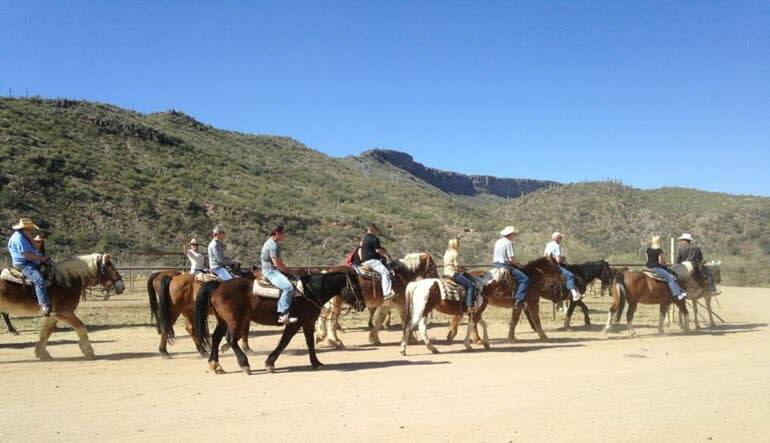 Roam through the desert like the cowboys of old on a Wild West Horseback Adventure Ride! There’s no better way to discover the beauty and ancient majesty of the Arizona wilds than from the back of your faithful steed. And with over 400,000 acres of protected wilderness, there’s no better place than Arizona’s Agua Fria National Monument. A blend of desert and semi-desert ecosystems, this national reserve is home to a wide variety of natural marvels and diverse wildlife such as the Leopard frog, Desert tortoise, Pronghorn, and Javelina as well as hundreds of ancient Native American structures. 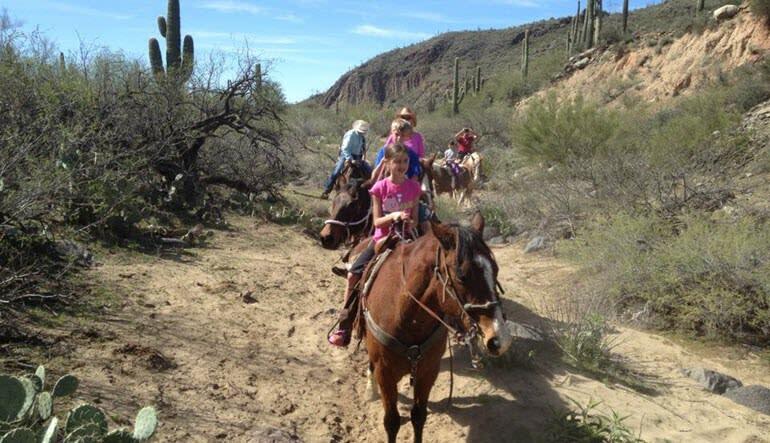 After saddling up with the perfect pony, you’ll ride out led by your expert wrangler guide to experience all these wonders and more as you explore the hundreds of acres surrounding the foothills of the Bradshaw Mountains. But you won’t be on horseback the whole time! 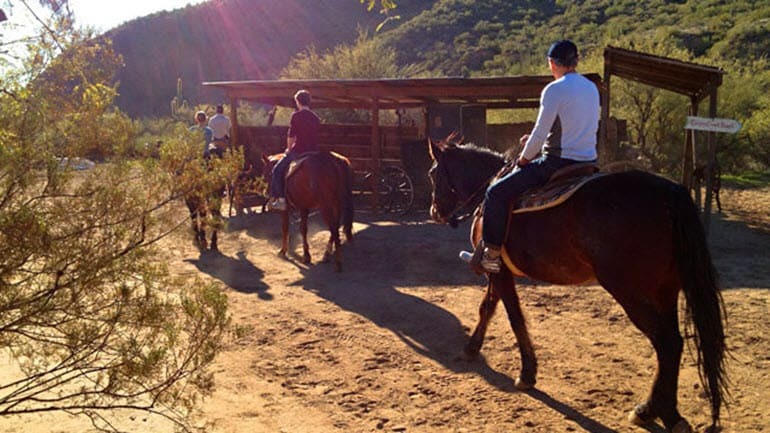 As you make your way through the rugged back country, your trail guide will take you out to the Old West town of Coldwater where you’ll water your horses and try your hand at some authentic cowboy games! 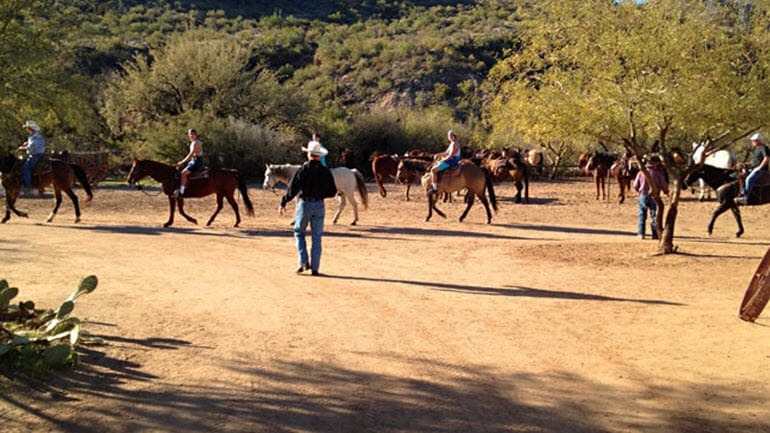 For a truly authentic riding experience, saddle up for adventure in the Arizona desert and make a memory to last a lifetime.